Joe Santoro is a seasoned Real Estate professional and a certified Senior Real Estate Specialist (SRES). Joe specializes as a ‘sellers agent,’ obtaining the best possible property selling price for his clients. In addition, Joe focuses on helping his clients transition from their current home to a new home or living environment. Joe not only provides his expertise in Real Estate, he also provides his clients with a total home selling solution by offering property and content downsizing, home clean-up and clean-out services, estate sales / content liquidation services, property management, rental services, and absentee home watch services. Joe has held senior management positions with several of America’s most admired companies and has earned his Bachelor’s degree in business from Seton Hall University and his Masters Degree in Organizational Dynamics from the University of Pennsylvania. 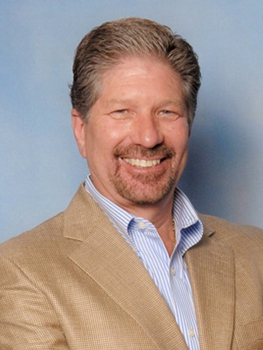 Joe is a licensed Realtor in both Pennsylvania and New Jersey, and the co-founder of Personal Property Managers. Joe’s specialty is providing a one-stop, single-source solution for his clients. Lastly, Joe provides a unique one-stop resource to help his clients sell their property in the quickest way at the best possible price via their association with Personal Property Managers. Click here to learn more about their special real estate and content liquidation program. Joe and his team are fantastic to work with. Always available and a step ahead!!! Way more personal than the large rental management companies...where you are just a number and get NO Personal attention unless you threaten to cancel. Joe marketed and rented our unit for top dollar in less than 45 days...COULD NOT BE HAPPIER! My partner and I live in TX and transferred our grandmother here from Philly in order to ensure she had the best care possible. She has not lived in the house for over a year. While she has relatives nearby her home, they are not capable of assisting with the cleanout process, leaving us with the task of cleaning out the property from 1500 miles away. Joe was able to step in and be the local support we needed. Most of my correspondences with Joe were over the phone. He arranged trucks, the disposal site, and the labor. Not only did they remove over 40 years of keepsakes, memories, clutter and debris, they also cleaned the home, reducing the anxiety we had about probable repairs. The only thing we had to do was open the door. Joe treated our delicate situation with the utmost respect and I couldn't recommend him more. Thanks for being available, understanding, organized and professional. Joe and his team were hugely helpful with cleaning out two houses that were being sold as part of an estate I was settling. They also handled landscaping and property clean-up for both houses, and Joe got a quick sale on the house I listed through him as well. I don't live local to that area, but Joe was very communicative and took lots of videos and photos to assure me of their progress throughout the process. In fact, he did such a good job that I never had to be there myself, so I didn't get to meet him in person. I enjoyed working with Joe and wouldn't hesitate to use his services again. Joe was extremely helpful, fast, and thorough. A video call before and during the house clearing, followed up with a video of the empty house; this was especially helpful given that I was unable to visit the house prior to selling after Joe and his team finished. A great experience all around.